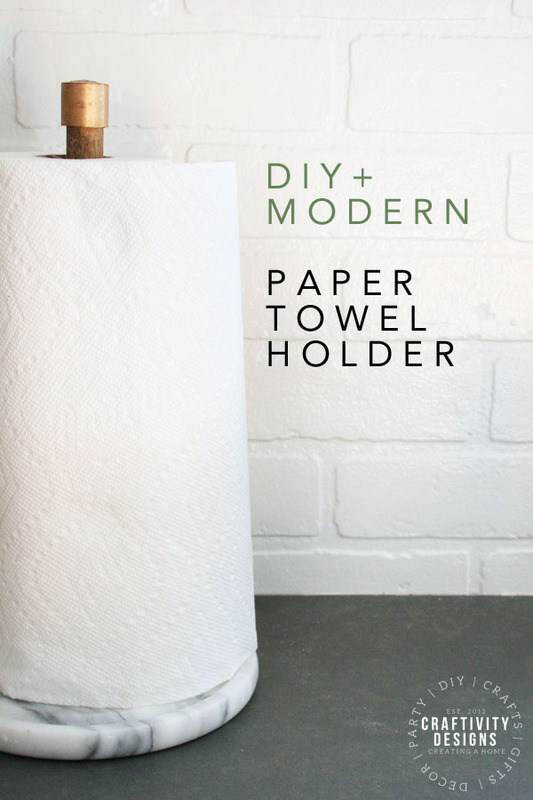 Learn how to make an easy, modern, DIY paper towel holder! 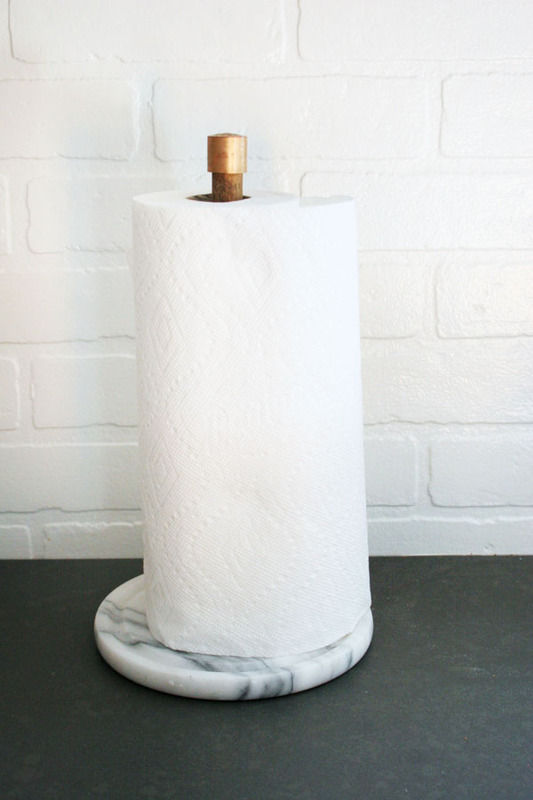 This Brass and Marble Paper Towel Holder looks so stylish, and it’s incredibly simple to make. Before we sold our last home, we broke our paper towel holder. In lieu of replacing, we glued it back together until we moved. Not knowing what our new kitchen would look like, I wanted to wait and buy something that fit the new home’s style. 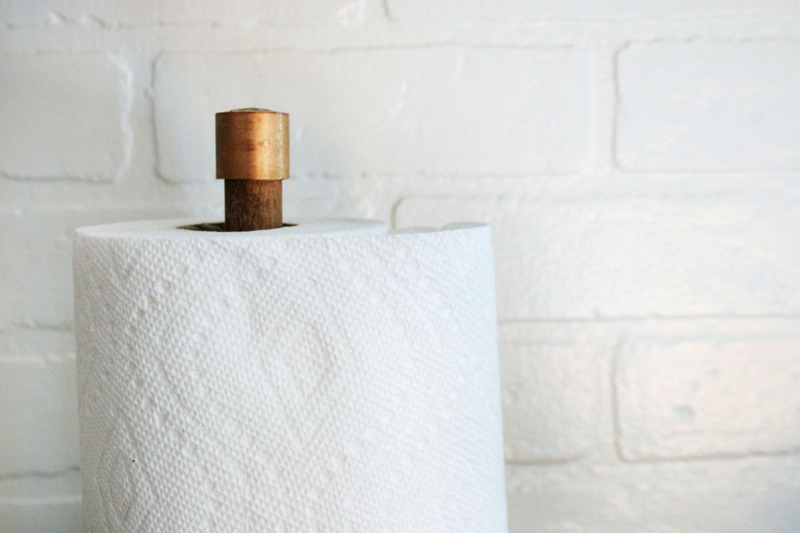 Turns out, another broken kitchen item lead to the creation of a DIY Paper Towel Holder for our modern cottage kitchen. What kitchen item was it? The glass dome from a marble cheese board set didn’t make it through the move. Shattered into pieces, the dome was trash, but I kept the marble (because… marble, right?! that stuff is expensive). It was a thrift-store find, and likely cost me less than $15, originally. Having months over a year (yes, it took that long to sell our house) to think about paper towel dispensers, I had a pretty good idea of what I wanted. Something modern, which blended into the aesthetics of our kitchen. Enter –> our broken cheese dome. It was a perfect choice. Just the right size. Heavy, as a base, so it won’t tip over. A trendy and classic material. With a marble base in hand, I just needed to pull together the remaining pieces of a modern paper towel holder. P.S. 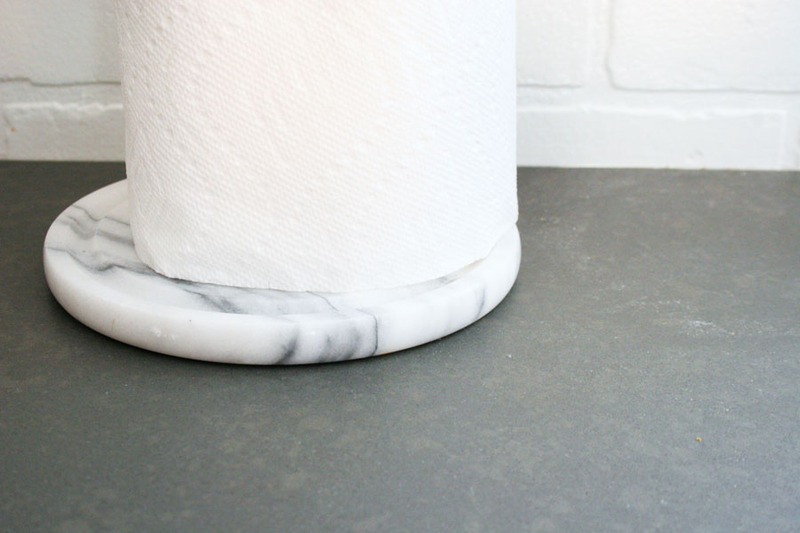 If you aren’t into making your own, check out this list of 5 Marble Paper Towel Holders for a modern kitchen. 1. 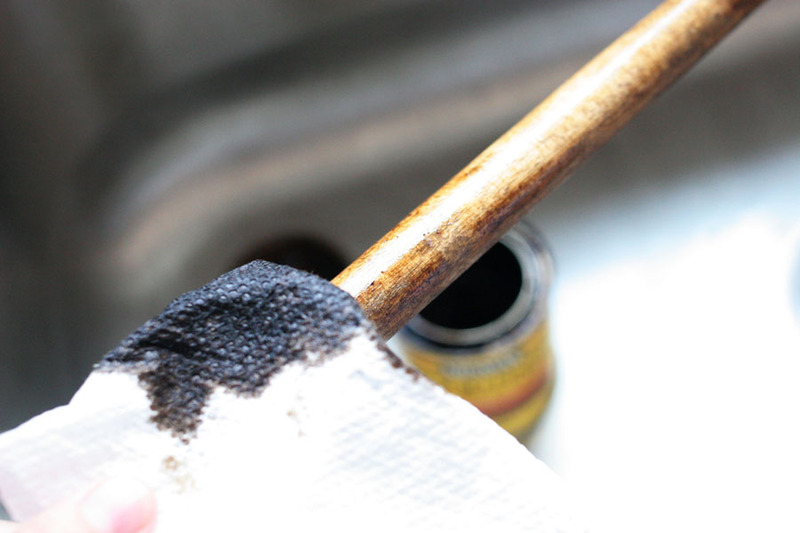 First, apply stain to a 3/4″ x 12″ wood dowel rod with a paper towel. The color that I used is provincial by minwax because I had it leftover from other projects (such as our faux weathered wood shelves and rustic baskets). 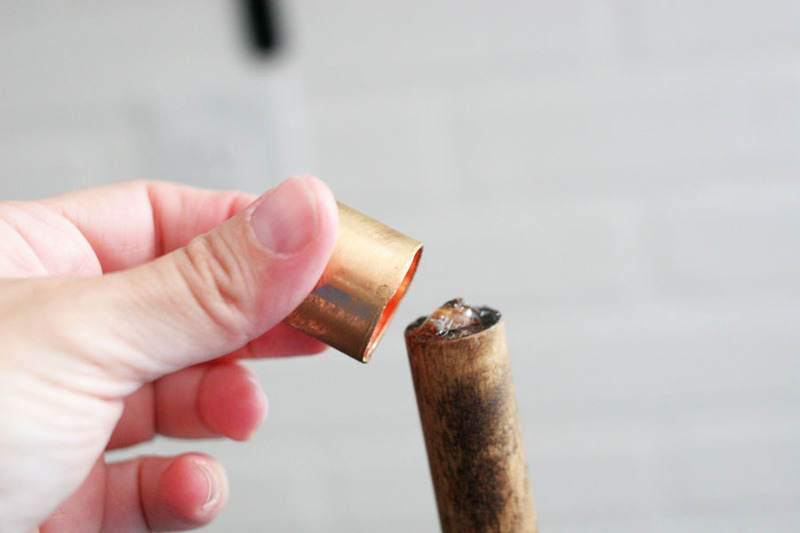 Set aside the wood dowel to dry. 2. 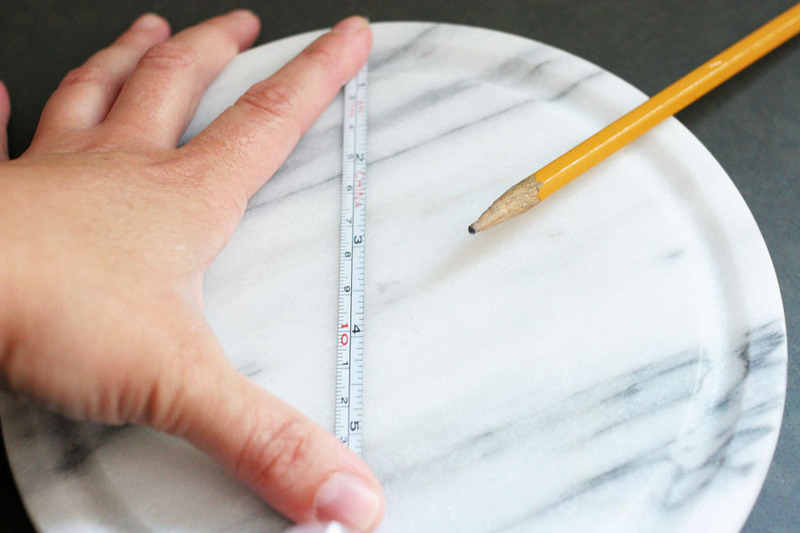 While drying, mark the center of the marble base with a pencil. 3. 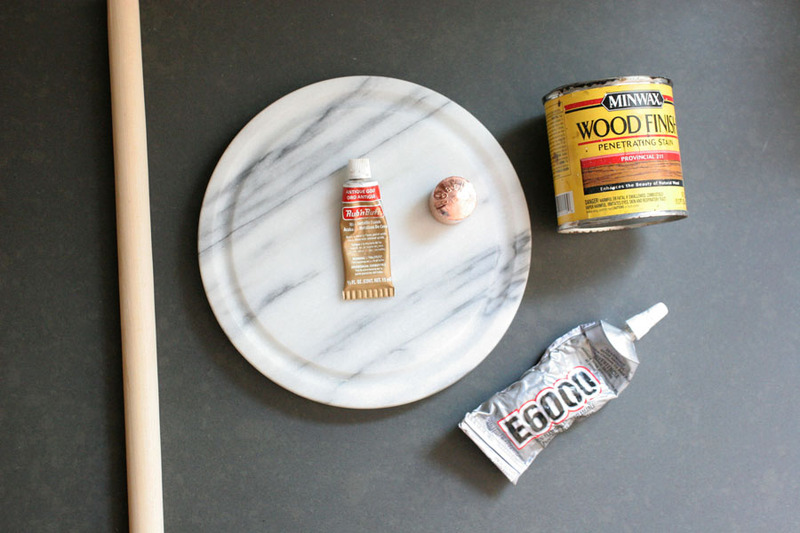 Once the stain is dry, apply E6000 glue at the pencil mark. Place the dowel in the glue, and hold in place for a few minutes, per the E6000 package directions. 4. 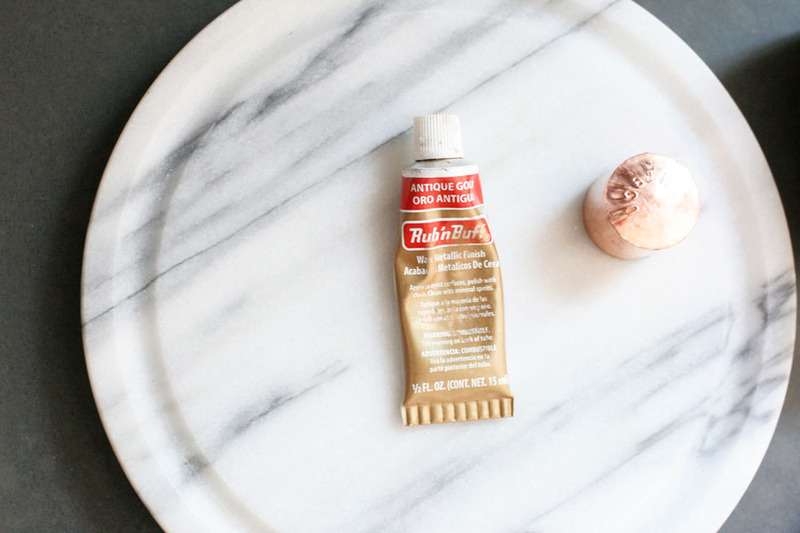 While the glue is drying, apply rub n’ buff with a paper towel to the 3/4″ copper cap. You may prefer to leave the cap in its copper finish. If so, skip this step. In our case, I chose an antique brass finish to match hardware in the kitchen. By adding a bit of antique gold rub n’ buff, it softened the red tones in the copper. 5. Once the glue (from step 3) has hardened, add E6000 glue to the top of the wood dowel. Press the cap onto the glue. Simple and stylish — modern, yet understated. The marble, wood, and bronze combo fits seamlessly into the finishes of our modern cottage kitchen. I even love how the veining in the marble base picks up the grays found in our quartz counters. 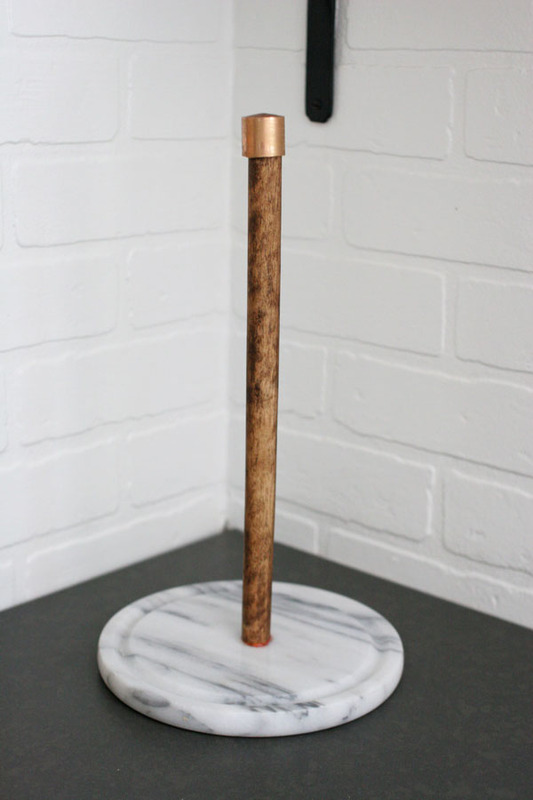 The antiqued brass cap and wood stem keep the marble paper towel holder from feeling traditional. Since I had the marble, rub n’ buff, E6000, and stain on hand, I only spent about $3 to complete this project (the pipe cap and wood dowel). Compared to this one at nearly $40, I’d say that’s a win! 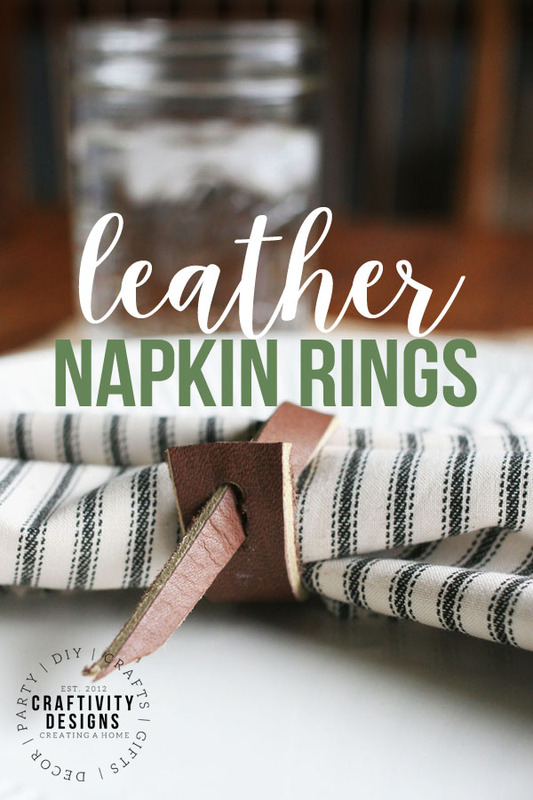 Learn how to make simple leather napkin rings for a stylish, modern table. 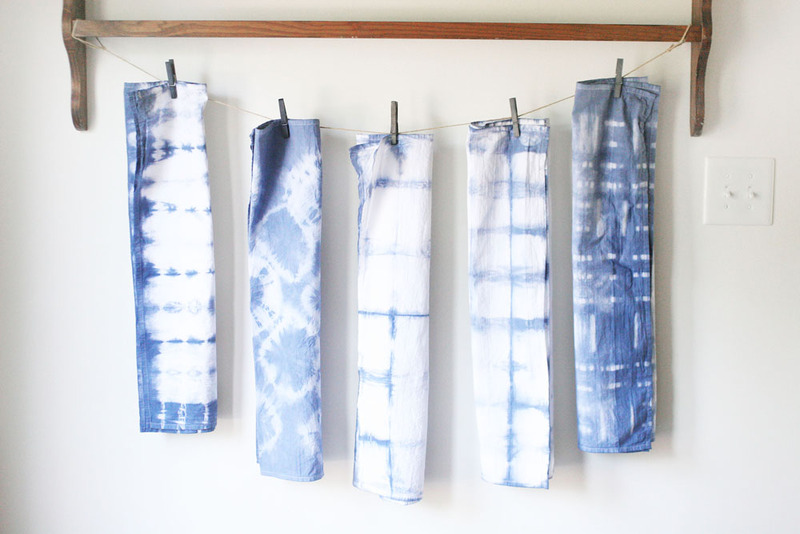 Make shibori patterned textiles with an easy do-it-yourself Indigo dye. 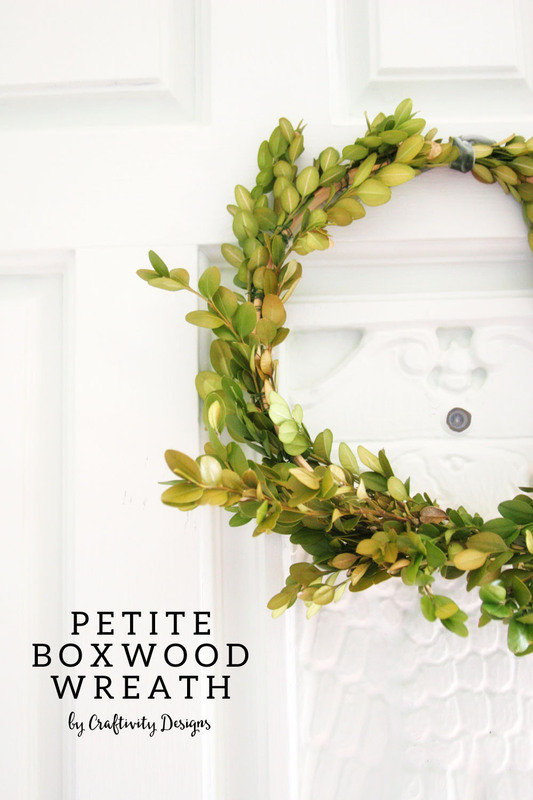 Learn to make a real boxwood wreath to hang in the home.